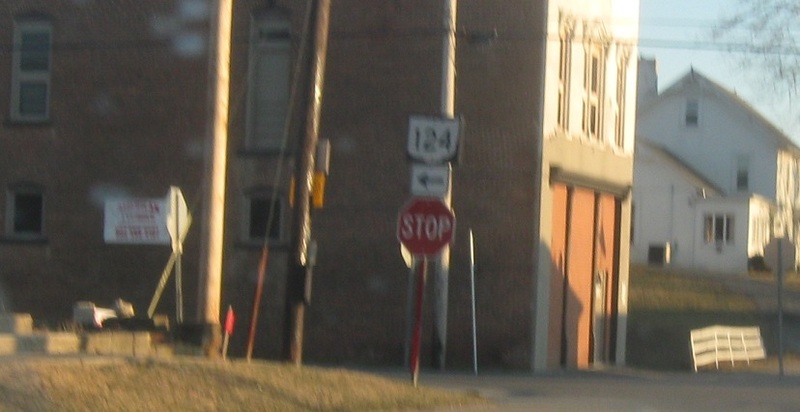 Reassurance shield as 124 joins 41. 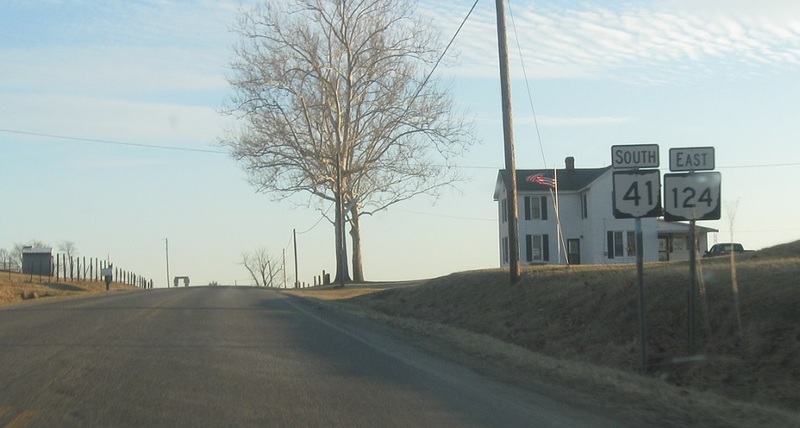 Less than a mile later, we’ll enter Sinking Spring. 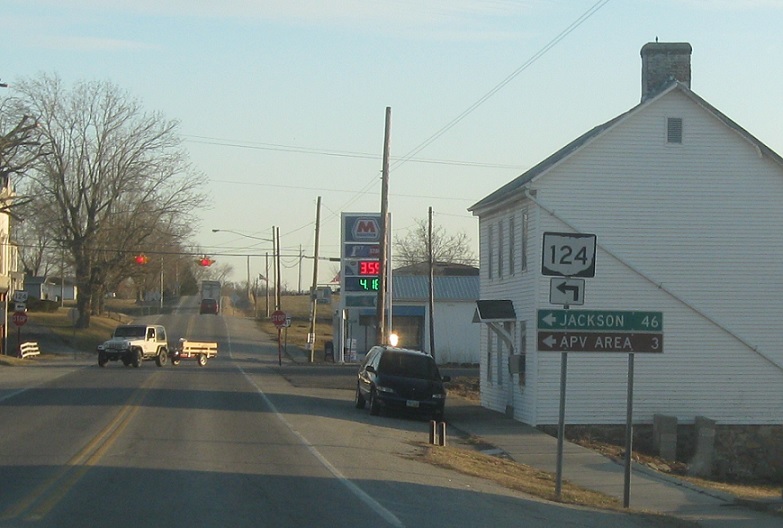 In Sinking Spring, Ohio 124 splits to head east to Jackson. 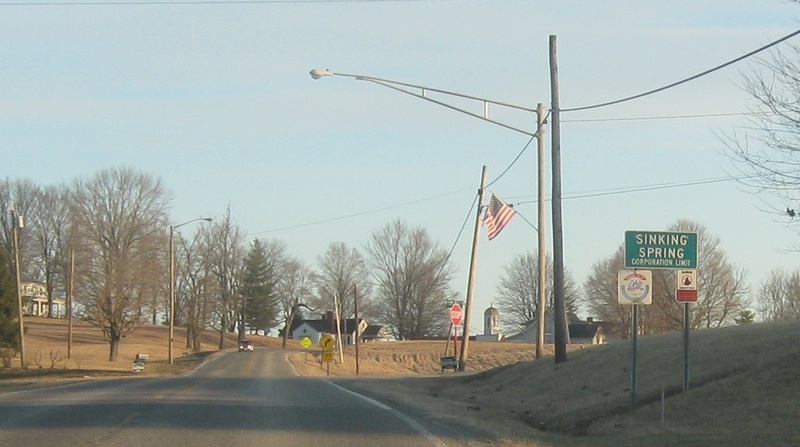 Turn left for 124 east. Stay straight to stay on 41 south.